It’s friendly, relaxed, and open to anyone – from those wanting to investigate Christianity, to newcomers to church, to those wanting to brush up on their faith. Each course follows a 10 week programme. Each session starts with a meal, followed by a short talk and a discussion where you can share your thoughts and questions. 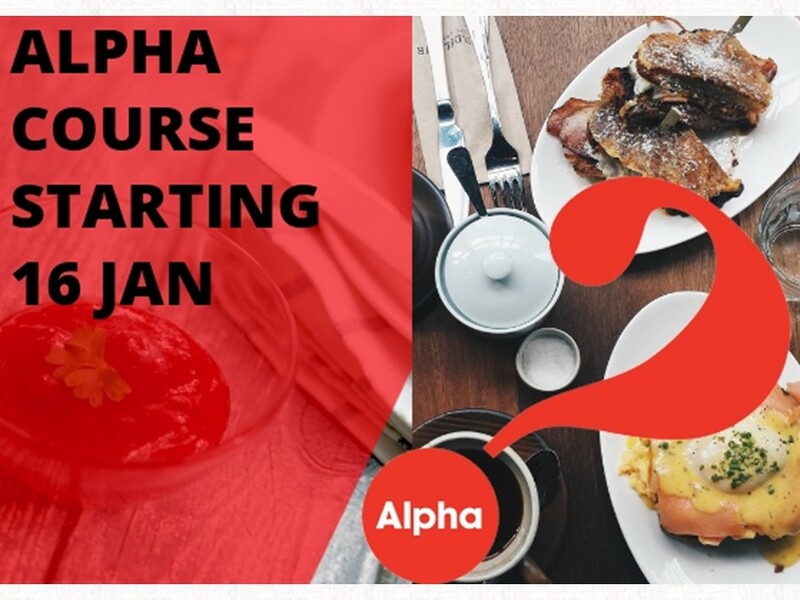 The next Alpha Course will begin on Wednesday 16th January 2019, starting at 7pm and including an evening meal. The course will run for 10 weeks. If you are interested please talk to Alan, or contact the church office. Get your marriage off to the best start. We offer preparation courses for anyone getting married in the parish. Topics include expressing feelings, the importance of commitment, resolving conflict, keeping love alive, developing a fulfilling physical relationship, and goals and values. The Marriage Course is for any couple, no matter how long you’ve been married. If you have a strong marriage, this course will help you make it even better and will reinforce your good habits. If your marriage is in difficulty, the course will help provide you with practical tools to help you work through the issues. Children and teenagers don’t come with instruction manuals, and yet raising children is one of the most important tasks we’ll ever undertake! Discovering we’re not alone in the challenges we face and picking up ideas from other parents can make a huge difference. For parents, step-parents, or carers of children aged 11 – 18 years. Learn about meeting your teenager’s deepest needs, setting healthy boundaries, helping to develop their emotional health and teaching them how to make good choices. For parents, step-parents, prospective parents or carers of children aged 0 – 10 years. Learn how to build strong foundations, meet your children’s needs, set clear boundaries, and teach healthy relationships.